NORÐ Talks About New Music and Playing More Shows! 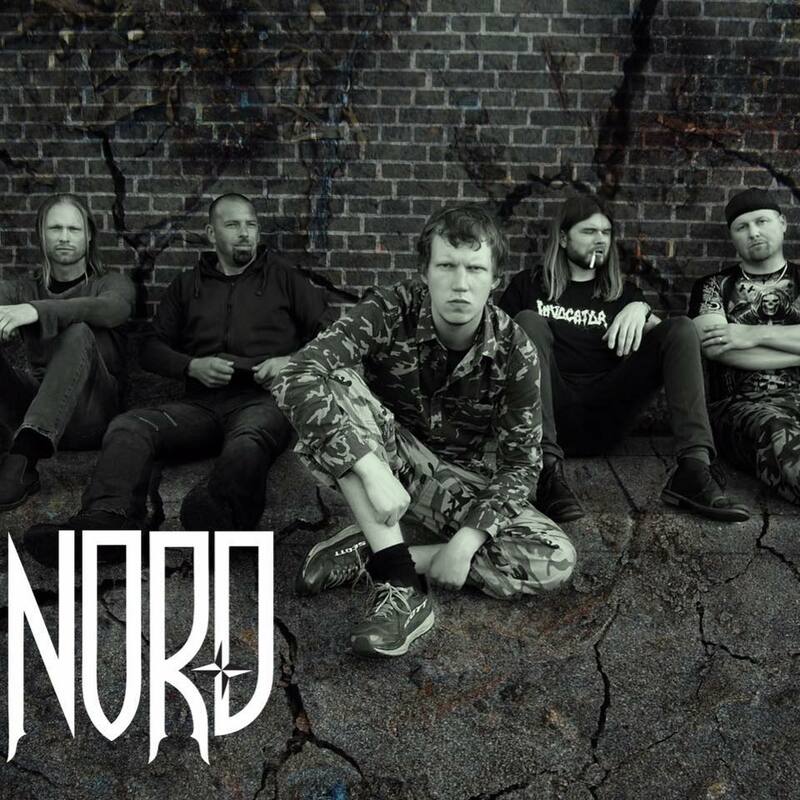 Melodic progressive groove metal act NORÐ have an all new album in the works, with shows to follow, with even more shows closing out this year. The band talks even more about their latest releases and themselves as well. 1. First of all, please introduce your band and band members to our readers. We are NORÐ from Denmark and we play melodic progressive groove metal. The members are Bjarne Broggard Matthiesen – vocals, Niels Thybæk-Hansen – guitar, Thomas Bøgh Jensen – guitar, Peter Littau – bass and Rune Kolsbjerg Hansen – drums. 2. Can you disclose the details of how the band came to be who they are and why did it happen? NORÐ was formed in 2013 in Odense, Denmark by guitarist Niels Thybæk-Hansen. The original members came from both Denmark, Faroe Islands and Iceland. The ambition was to create heavy music with a nordic feeling combining dreamy soundscapes, tight riffing and headbanger breakdowns. Within a year the first set was written and the band started playing live gigs. The crowd really embraced the music from the very beginning and recorded material was in demand. In 2016 the recording of the debut EP "Alpha" began at Molten Rock Studio in Odense with Jesper Egeskov Sommerby. By the time the single "Rosehip Garden" hit the internet around Christmas 2016, there was immediate international interest and the single received airplay in the United States, Australia, Spain and other countries. The band was contacted by Inverse Records from Finland who wanted to release the EP in March 2017. The EP was released and the band has been playing around 20 live gigs since then. Today the line up consists of purely Danish members since the original singer and drummer have been replaced. The band is now a strong and efficient unit and we are like brothers. 3. 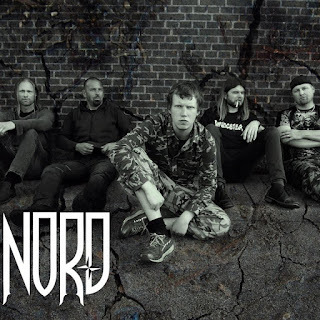 Would you say that there is a special story behind the band's title NORÐ? Our first singer, Zigorion, is from Iceland and he came up with the name because it fit the band consisting of members from several Nordic countries. In addition the name is short and easy to remember. The Ð is from the Faroese and Icelandic alphabet and the band name it is pronounced [noɒ]. 4. What types of music does the band actually play? Our style of music is a mixture of several different metal styles. We often describe it as melodic progressive groove metal. 5. What inspires your music? We are influenced by bands like Lamb of God, Iron Maiden, At The Gates, Gojira, Pantera, Megadeth, Metallica, Alice in Chains, Pink Floyd and many more. 6. What do the lyrics talk about, how does the lyrical writing occur? It’s important to us that the lyrics are both poetic and meaningful. We wish to discuss subjects that are common to human beings in general – that’s far more interesting than hearing about one person’s love life or whatever. The actual writing process starts out with Bjarne coming up with vocal rhythms and melodies. He then writes down how many syllables he wants in each line, and Niels writes the lyrics based on these guidelines. Quite an unorthodox method, but very efficient. Our lyrics deal with the decadence of the human race. We are interested in the psychology of the human mind and the impact it has on the world. You might say that some of our lyrics are quite dystopic. We focus on subjects like modern warfare, terrorism, greed, carelessness, love, justice, the endless information stream and some future where human beings are no longer the superior species on this planet. So, you might also say that our lyrics are pretty political. 7. What have you released thus far, that you would like to discuss? We have released the EP "Alpha" on Inverse Records in 2017. It’s a groovy and heavy piece with melancholy and brutality combined. 8. Do you have any new music in the works? In 2018 we’re appearing on the Danish metal compilation "Hell Comes Around III" with the single "The Run". We’re currently working on a music video for the track and after that we’re heading for the studio to record our first full length album. We expect to release it in 2019. 9. What are the plans in-store for the rest of this year? So far this year we’ve already played several great live gigs including support for Hamferð and THEORY. In September we’re playing in Copenhagen and Roskilde before heading on tour to support the "Hell Comes Around III" compilation. And of course, we’re going to prepare for the studio and hopefully start recording in the fall of 2018. 10. Would you like to say anything to your fans and our readers? To our fans and readers of this magazine we wish to say thank you for your interest in NORÐ. We hope you’ll all go and check out our music and just stay metal!